When I first started Bucket List Publications a year ago, I knew that it was going to be a success! I am driven; I am passionate; I am a dreamer and I do everything in my power to make those dreams come true. Life is worth living, after all, and I’m making it happen. You have to believe that you’ll succeed. When I started blogging, I heard people say that it would be impossible to break into the field and be successful. Why would I even waste my time? Why would I want to be another “blogger”? 10,432,439 page views speak for themselves! 40,111 followers agree! Because of blogging, I’ve been able to skydive, bungee jump, para-glide, pilot an airplane and a helicopter, go whale-watching, fly in a biplane, tour Nevada, California, Mexico, South Carolina, Alaska, North Carolina, and the Grand Canyon, swim with dolphins and beluga whales, and fly a jetpack. Blogging also introduced me to friends from around the globe and allowed me to share my passion for travel and adventure with millions. The more unrealistic I was with my dreams, goals, and imagination, the more I was able to achieve. My results have ignited even more drive from within and not even the sky is the limit from here. Hard work, determination, and consistent effort will help you achieve your blogging goals, but drive alone doesn’t make a blog successful. There is more to blogging than creating posts and wanting them to be seen. In my post, 7 Great Ways to Improve Your Alexa Ranking, I shared tips to increase blog rankings. 430 likes and 197 comments told me that other bloggers are searching for ways to improve their rankings as well. Below is the second addition to Improving Your Alexa Ranking, but this time is has a general focus of Creating a Successful Blog. We can all achieve success, but it’s nice to have a few tips along the way. If you have more than one blog, each of these should have a different Fan Page. This makes it easier for potential readers to find you and discover your site. I utilize the Bucket List Publications Fan Page daily. By adding visuals, quotes, posts, and insight into the blog, it is an additional way to connect with readers. 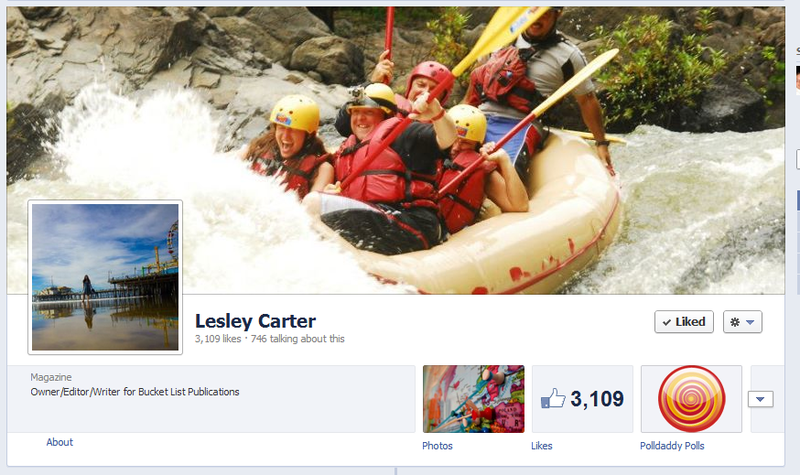 Be careful in naming your fan page because once you have more than 300 followers, the name can’t be changed. I’ve learned my lesson on that one. One of the main highlights of this social media channel is that it offers the most current events, the trendiest topics, and the latest “ins”. This gives you an excuse to be the “talk of the town” by simply using a keyword that relates to your blog. For example, if you are into adventure, you can post tweets with hashtags like #BestSkydivingPhotos, #TheFacesOfAdventure, or #Top5Adventures. Any of these can become a trend, especially if you are using the hot topic that most of your followers are talking about. But remember that adding a hashtag to your tweets is not the basis for a Trending Topic. Instead of the number of tweets, Twitter’s algorithms count the number of people who use the hashtag or the term. This is why starting a “trend” is not as easy as it looks. However, if you are keen on targeting your followers’ interests, then you just might succeed through it. It is currently one of the newest ways to share photos online. Basically, images are pinned to different themed boards which include a link to the original source. If the theme of your blog relies heavily on visual material like fashion, food, travel, arts, and adventure you may have an easier chance of fitting in. Don’t forget to feature a Pinterest plug-in on your pages so that readers can easily “Pin” your content on their boards. I just started to use Pintesert, but I’m hooked. For an example of a Pinterest page, you can click here. It should not be difficult for your readers to share, like, repost, or tweet about your post. Show these buttons as prominently as possible on the page. You’re a complete nobody when you first start out. It’s great having ‘Mom follow along’ but in order to create a successful blog you need a solid readership. In the initial stages, one of the easiest ways to attract this for your site is to become a fully immersed in the blogging community. Commenting, tweeting, stumbling, and promoting the work of others is the name of the game. It’s all about being a ‘team player’ and hoping that others eventually reciprocate. The blogging community is, for the most part, full of incredible people willing to help one another out. This is an effective way to diversify your posts. Instead of just lengthy texts or the usual horde of images, you can embed one of your YouTube videos into the article. This increases the number of views for that particular media and it will also generate links to your site. That is, if you include a link in the video description. I included a video in my Float Like a Butterfly, Sting Like a Manta post and it became one of the most popular posts this month. Top of the Funnel: Creating, optimizing, and promoting content are keys to filling the top of your sales and marketing funnel with more website traffic and leads. The good news is that companies who create, optimize and promote their blogs get 55% more traffic and 70% more leads than those who don’t. Middle of the Funnel: The middle of the funnel is all about converting the traffic you get into prospects and leads and then nurturing your leads and prospects in order to make it more likely that they will become customers. You do this by using landing pages, blogs, conversion forms, email marketing and social media. Analytics Measuring your successes (and failures) is the only way to know what marketing activities are working for you. If you can’t measure how many visits, leads and customers your different campaigns generate, you need to reevaluate how you’re measuring your activities. Part of your obligation as a blogger is to give your readers compelling posts and to devote time to social media for interactions. These are the stepping stones toward thriving in the blogosphere and standing out as one of the best writers. Do you have others? Please feel free to share them below. What tips worked for you? What things helped you remain focused? Are you an authority in the industry? We’d love to read your suggestions. We are a community and we can grow in success together. Love this post! Thank you. This is exactly the information I have been looking for! Lesley, I could say amen to this, because that’s exactly what it comes down to. I would also add consistency in your posts is a key ingredient to become a successful blogger. Be kind in your comments and do not ever attack other bloggers. You might find blogs where you don’t agree with what’s posted there be it a book review, a political standpoint or religion X is better/worse than religion Y. Stay out of those sites you have nothing in common with and find the ones where the bloggers speak the same language as in having the same passions as yourself. After all, blogging is another word for connecting. I love your blog and other social media! I look forward to my Bucket List posts in my in-box. Thanks for all your hard work and sharing your adventures! Thank you Lesley for this post.. This is really encouraged me to keep on doing a good work in my blog when I just started to feel a bit discourage on doing this thing.. Thank you Lesley. I was just thinking about how I was going to increase my traffic. This post is easy to follow and gives the specifics I was looking to find. I have been following you for a year and my how you’ve grown. Congratulations! Your confidence and positivity is inspiring and infectious. It comes to me at a time when I need it the most. Thanks for the tips and more importantly for the attitude. What a great blog! I learned so much from just a few posts and now I’m so motivated. Thanks for visiting my blog too! Thanks for the tips….am going to implement these. This is perfect info for a new blogger like myself. Thank you for wanting others to succeed when so many people would rather get themselves ahead without wanting to help others. Thanks so much Leslie for your helpful hints on blogging! The one that has REALLY paid off is liking, commenting, and following other bloggers! I encourage everyone to do this- how do you expect people to read your blog if you don’t do the same ?! Keep these tips coming because I love reading them and they pay off!! Thanks again and happy traveling! Thanks for your expertise and enthusiasm. I’m compiling a FBoB (favorite books of bloggers list)–what are your favorites? I have just started out blogging and loving it ,even though sort of a lost sheep, Ba, Ba, basically (Sorry I stutter) I don’t know much about Pinterest, Twitter or Facebook, just getting lost in writing. Thanks for the tips, they may take hours of head scratching, but I am determined. Back to the Sheep Pen. Thanks Leslie for your generous sharing of information. I subscribe to numerous publications: Hub Spot, Social Media Examiner to name a few for information about social media in general, and Ms. Leslie, you have them beat. Your inspiration and know how shines above a lot that I have read. Fact is, I plan to put your recommendations in place to help me grow both the professional blog I am responsible for and my personal ‘blogs’ . . . I can hardly wait to see the results. Thanks ever so much. This was a great post. My blog just reached it’s one year anniversary and has proven that I still have a long way to go. This post has pointed me in the right direction. Thanks. You are a GREAT teacher! I have began blogging on 12/31/12 and you would be surprised to learn how much you have taught me about blogging. I have actually won a couple of awards from wordpress.com b/c people are looking at my blogs. Why? Because I am following your advice! You are totally Awesome, and that is not counting ALL the adventures! That is totally insane! I am a scary cat, so looking at your pictures make me feel I am living through you b/c I know that I wouldn’t be able to do all those wonderful things you do! Thanks so much for this! Your tips are super helpful and are motivating me to take my blog to the next level. There’s never enough time it seems but your post is a great reminder on where success comes from. Thanks for the follow and thank you for this excellent post! As someone who can finally commit the time I’d like to blogging, I’m hoping my blog will become as successful as yours! Thanks again! Lesley, Thanks for your like and for leading me to your site. This is a very helpful post. I love blogging and have met so many wonderful people through my blog, blogginginitaly.com. I plan to use your great advice. Thankss for this 🙂 Now , im more than eager to pursue what I had started . I need to believe I can make it .